Although designed with couples in mind, Knoydart Hide can be adapted to accommodate children and, should you wish to bring the family, there’s no greater place than Knoydart to let them run free and experience the great outdoors. Without all the distractions of modern life or the dangers of city living, both adults and children are able to kick back and create treasured holiday memories that will last a lifetime. 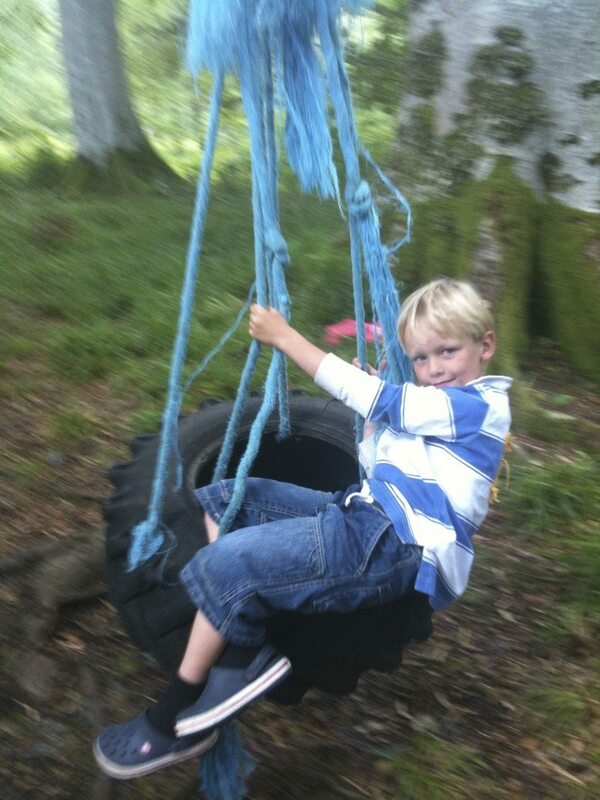 Knoydart…where children can be “be children”. 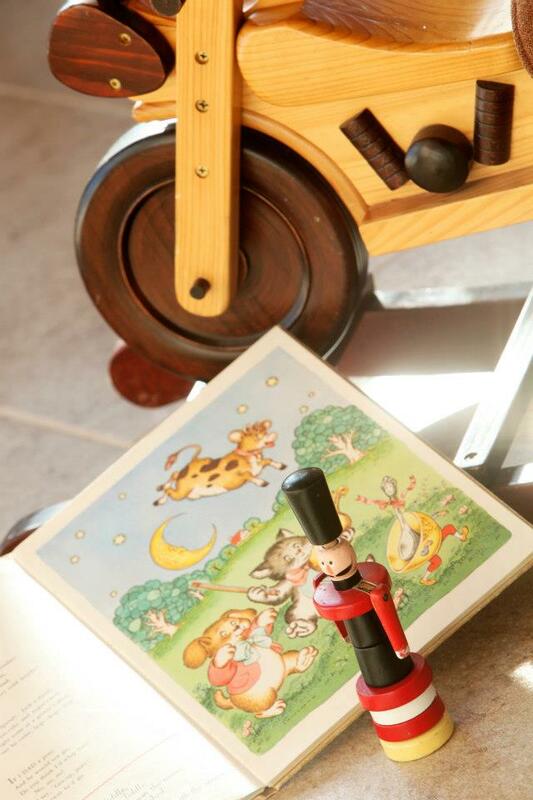 Travel cot and high chair available on request. Knoydart Hide can sleep 2 adults and up to 2 children (under 14) by prior arrangement. Supplement applicable. With no road network, there is very little traffic on Knoydart and so the whole area is like a giant playground, plus the lack of street lighting or light polution means that little ones may get their first clear look at the stars of the Milky Way. Adults and children alike can discover their very own Treasure Island and cast away to long days in the fresh air and cosy nights in front of the fire. 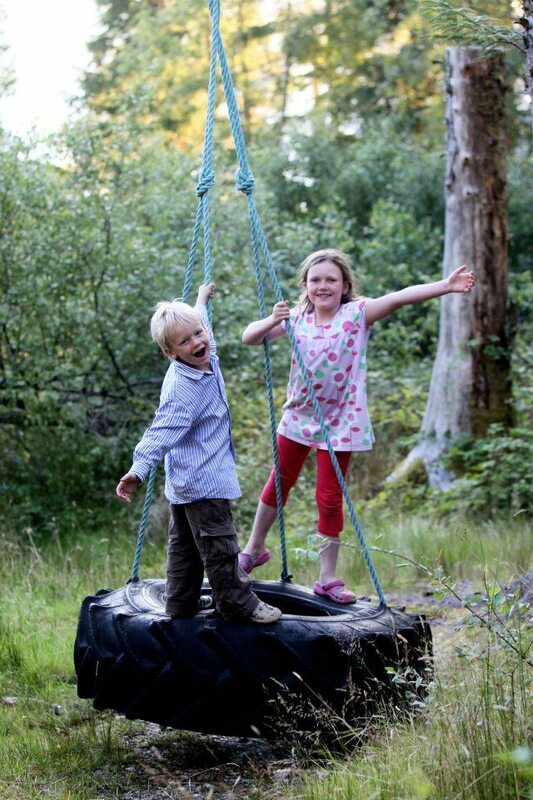 The woodland that borders Knoydart Hide has clearly marked trails courtesy of the Knoydart Forestry Trust, so that you and your family can go exploring for hours; you can swing on the giant tyre swing, forage for mushrooms or wood sorrel or just enjoy the sights and sounds of ancient woodland. The Knoydart Forestry Trust has also drawn up Forestry Factsheets, to help children easily identify all the different varieties of trees in the woods, such as Ash, Oak, Scots Pine, Sitka Spruce, Larch and Birch. You can download the form here. There are also a range of Activity Sheets available to help children learn about the woods whilst also having fun. You can download a ‘How To Make a Leaf Crown’ Activity Sheet here, a ‘Create Your Own Elf’ Activity Sheet here or a ‘Create Your Own Fairy’ Activity Sheet here. Knoydart’s beaches are sheltered and perfect for rock pooling, crabbing, dam building and spotting the sealife, not to mention building sand castles and trying a little beach art. Barbeques on the beach are a fantastic way of getting the family together, eating the daily catch and just enjoying the view out to sea; even in winter you can wrap up warm, drink cocoa and toast marshmallows whilst watching the sun set. For those who like fishing, then Mackerel fishing off the pier can become quite competitive amongst the youngsters, plus you can hunt for Butterfish, Crabs, Shrimp and Mussels, but don’t forget to bring your fishing rods and nets! The local Pottery and Tea Room is very child orientated, offering a child-friendly menu that includes hot chocolate, ice cream floats and Fentiman’s Old Fashioned Lemonade and even providing colouring books and crayons to keep little ones entertained whilst they wait. The lively local music scene also puts on ceilidhs in the village hall, where old and young, residents and guests alike can put on their dancing shoes and dance the night away. For further inspiration, you can download a free John Muir Trust Mission Explore Kids Activities Booklet before you come; comprising a unique set of activities that will inspire children to follow in the footsteps of John Muir, a founding father of the modern conservation movement. Make like Hiawatha and explore the coastline and nooks and crannies as well as our diverse sealife in a graceful open Canoe. 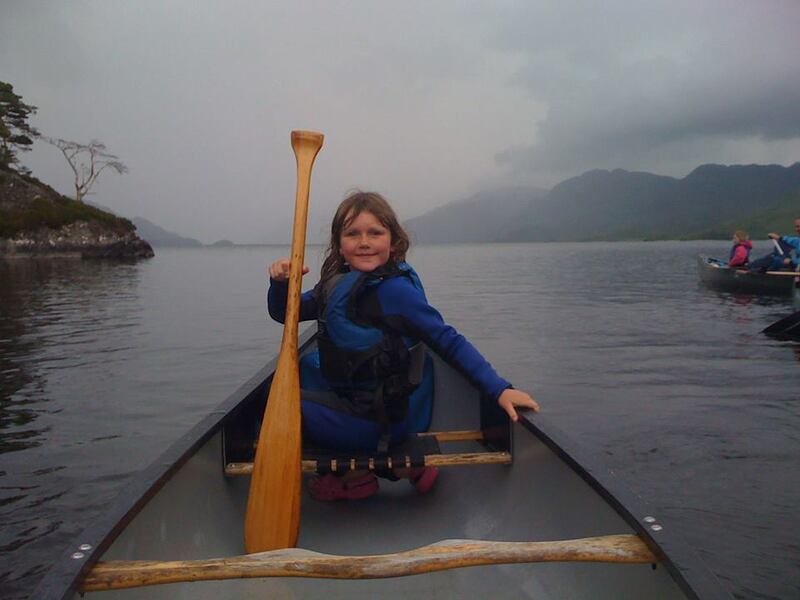 Wilderness canoes offers half and whole day family guided trips for beginners and littles ones accompanied by mum or dad. Build a beach fire, toast marshmallows watch the seals swim by. Contact Wilderness Canoes to arrange you perfect family escape Swallows and Amazon style. To ensure peaceful evenings after a day in the bracing Scottish air, Knoydart Hide also has a selection of children’s books, from the likes of Mairi Hedderwick, Katie Morag and Hairy McLary. What’s more, if Mum and Dad fancy a night off, then we can even arrange a responsible baby sitter to look after the children in the Hide, providing we have sufficient notice. 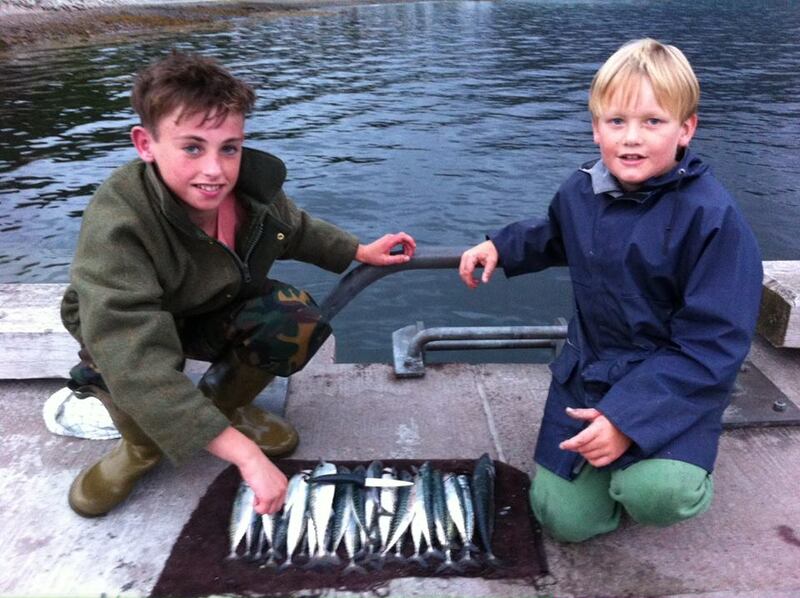 Knoydart really is a place where children’s dreams can come true and their imaginations can run wild, not to mention the new experiences; where else could they catch their own mackerel and then cook it on the barbeque and eat it that same day? 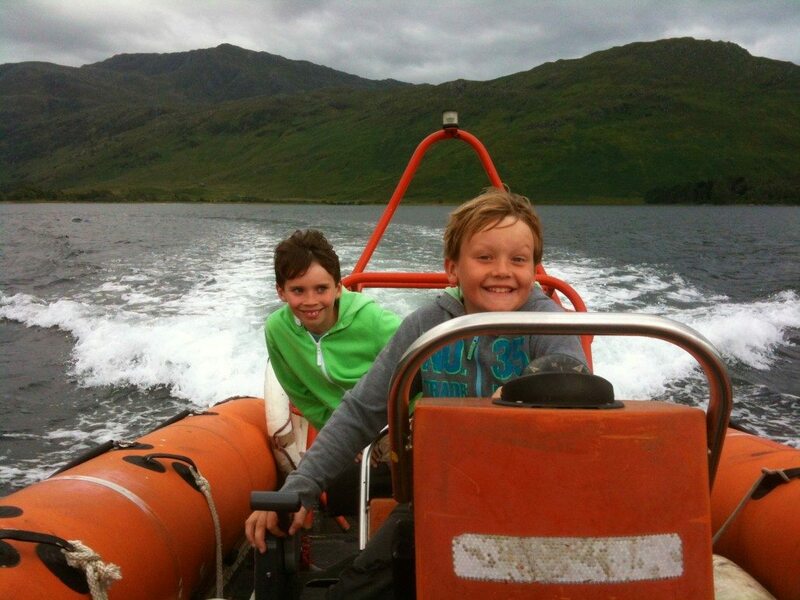 Knoydart gives children the chance to live like Tom Sawyer and families the chance to spend precious moments together that will live with them long after they’ve left.